Get Instant PPSR Vehicle Check & PPSR Certificate. Please enter Registration Plate Number. Get instant, easy to read PPSR vehicle report using registration plate number. Why risk buying a vehicle worth several thousand dollars? 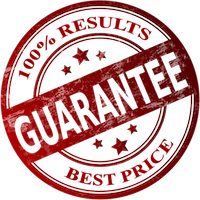 Get PPSR Report and buy with confidence. We make it faster and easier to do the PPSR check using the vehicle registration (rego) number. You no longer require Vehicle Identification Number (VIN) to do a PPSR motor vehicle search. Simply enter the Rego Plate Number. There is no more hassle dealing with the cumbersome VIN number. With our Vehicle registration number search, doing a PPSR Motor Vehicle search has never been easier. Complete a secure payment using your VISA or MASTERCARD or PayPal. Unlike other sites there is no need to register or fill form. Your payment is completely safe and secure. The easy to read vehicle PPSR report is shown as soon as the payment is complete. 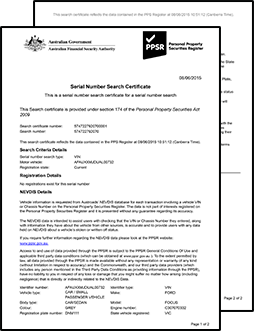 To make your life easier, we email you a copy of the report with the Government PPSR PDF certificate attached. Get All The Facts Before You Buy The Vehicle. Find out if the vehicle is under finance. The secured parties and their contact details. Check if the vehicle's VIN, Engine or Number plate is reported stolen. Has vehicle been written off due to major accidents, Storm, flood damages and inspections. Full vehicle description incl. Make, Model, Colour, Body Type, Engine Number etc. 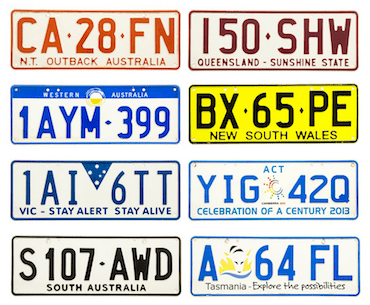 Vehicle registration details and rego expiration date. Certificate issued by Australian Financial Security Authority (AFSA). Government PPSR Certificate is included in every report. How long does it take get the PPSR report? We provide instant reports. On average it takes less than a minute after payment to generate the PPSR report and the PPSR certificate. What type of vehicles are covered? We can provide full report on any registered vehicle in Australia. This includes Car, Motorbike, Van, Truck, Trailer, Caravan etc. So it doesn't matter whether the vehicle you are buying is located in ACT, NSW, VIC, QLD, NT, TAS, SA or WA, we would be able to provide the report for you. I don't have VIN, can I use rego number? Absolutely. You can use either the vehicle registration number or VIN. Either way we will be able to provide a faster and easier service. What is PPSR and Why is it important? Personal Property Securities Resister (PPSR) is a Government register where all the security interests on a personal property including motor vehicles are stored. If you are buying a used vehicle in Australia it is in your best interest to search the PPSR and obtain the certificate prior to buying the vehicle. If the search reveals no security interest or other registration kind, then if the vehicle is bought or leased on the day of the search or the next day, the purchaser or lessee will usually take the vehicle free of encumbrances. Exceptions to the usual rule apply in certain circumstances. Please refer to the PPS Act for more information. Absolutely. Our site utilises modern security standards. We never capture or store your payment information. Payment is processed within Australia and your card details are NEVER sent overseas. We use SecurePay and ANZ bank. I have done a vehicle history check on a car that I was interested in. The price was tempting. OMG, turned out it was a repaired write off that would have been expensive down the track. You guys have saved me $$$. I almost put the deposit for the Ute I was going to buy and a quick PPSR report you guys sent me had the red flag. FLOOD DAMAGE. Money well spent. Thank you. Hi there, just wanted to say thank you for the quick report you sent me for the car. Excellent service, will definitely recommend. We provide vehicle history report for any registered vehicle in Australia. This includes car, motorbike, ute, caravan, trailer, truck etc. Whether you do a vehicle check online on our website or over the phone, you can always rely on our cheapest price and best service. Vehicle History is 100% Australian owned and operated.